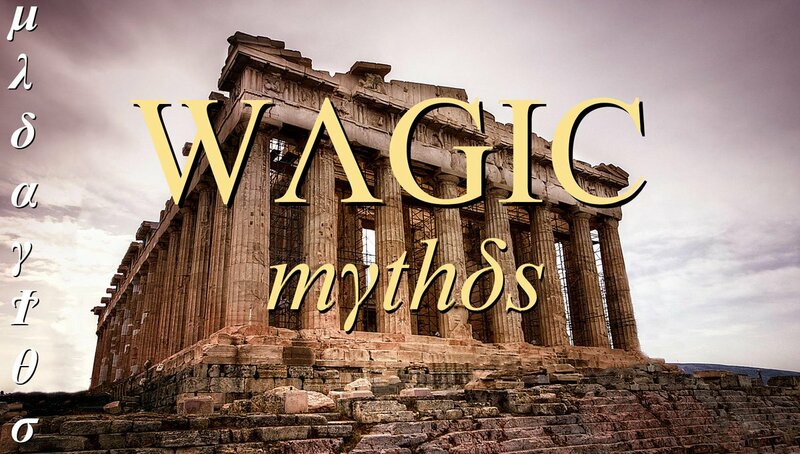 A topic for Wagic-related work, discussion and content sharing. Last edited by Darth Agnon on Sun Jun 12, 2016 11:28 am, edited 1 time in total. [EDIT 15/08/2016] Disclaimer: I can pretty much guarantee that my themes are compatible with Wagic versions 0.18.6 up to v0.19.XXXXX. I *cannot*, unfortunately, guarantee 100% perfect compatibility with the brand new Wagic versions 0.2 and upwards, due to a lot of new graphics that v0.2 (and probably henceforth) Wagic uses . Feel free to try, though, and let me know how they work . 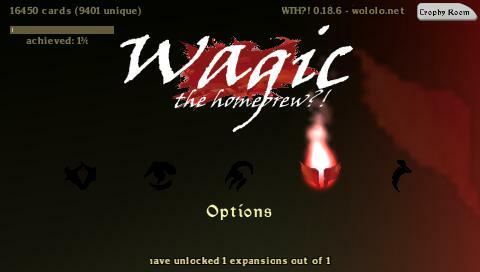 I use primarily Wagic v0.18.6 on PSP (which is still the best version for the PSP in my opinion) and Tacoghandi's Wagic PC mod, which has only just migrated to v0.2, but was based off v0.19 until not long ago. As such, I made these themes and graphics with those versions in mind. I'm having some trouble logging on to the Wagic forums, so I decided to create this topic and share some of my work here. This theme, called Warchief, is part 1 of what I have dubbed the D'Artagnan Collection, a series of 5 Wagic themes that I'll be releasing. It brings the look and feel of the wastes of Tarkir to your Wagic game. Be the Dragonborn among khans and dragons! INSTALLATION: Extract the download package, and compare the folder structure to your Wagic installation. Copy the theme folder (called "Warchief") to <WTH/User/themes>. Start Wagic; if installed correctly, the theme will appear in Options/User/Theme. Cycle through the available themes until you find it, select it, then save and exit to main menu. 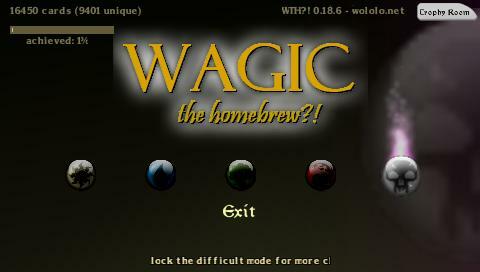 You may need to restart Wagic to ensure that the theme has taken effect. Last edited by Darth Agnon on Mon Aug 15, 2016 12:24 am, edited 1 time in total. A rejuvenate port would be awesome but it's a bit too early for that. This theme, called MI5, is part 2 of the D'Artagnan Collection, a series of 5 Wagic themes that I'll be releasing. Garruk, the Apex Predator, now hunts you in Wagic. 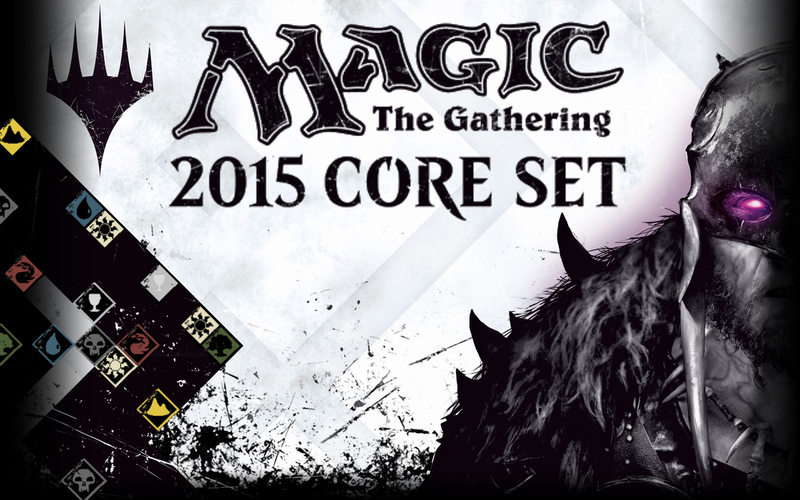 This theme brings the slick, modern styling of the Magic 2015 Core Set to Wagic. And it looks pretty snazzy, if I do say so myself. It includes a preview of an upcoming Lord of the Rings Wagic Theme. 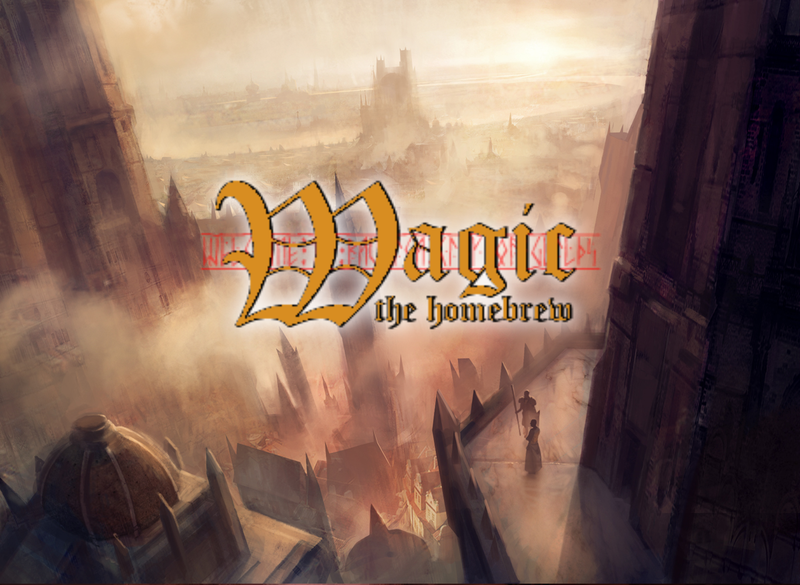 I'm using the hashtag #WagicTheHomebrew on Twitter for my preview images. INSTALLATION: Extract the download package, and compare the folder structure to your Wagic installation. Copy the theme folder (called "MI5") to <WTH/User/themes>. Start Wagic; if installed correctly, the theme will appear in Options/User/Theme. Cycle through the available themes until you find it, select it, then save and exit to main menu. 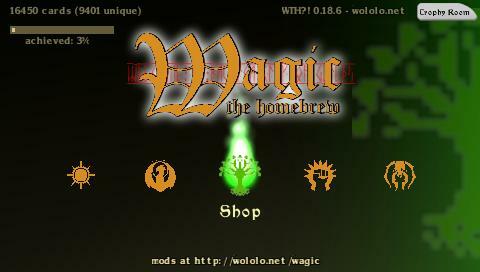 You may need to restart Wagic to ensure that the theme has taken effect. Last edited by Darth Agnon on Fri Sep 04, 2015 10:31 am, edited 1 time in total. This theme, called I, Machina, is part 3 of the D'Artagnan Collection, a series of 5 Wagic themes that I'll be releasing. Retake Mirrodin with an army of robots in this theme. It includes bonus BIONICLE styles, for ultimate science-fantasy robot action. INSTALLATION: Extract the download package, and compare the folder structure to your Wagic installation. Copy the theme folder (called "I, Machina") to <WTH/User/themes>. Start Wagic; if installed correctly, the theme will appear in Options/User/Theme. Cycle through the available themes until you find it, select it, then save and exit to main menu. 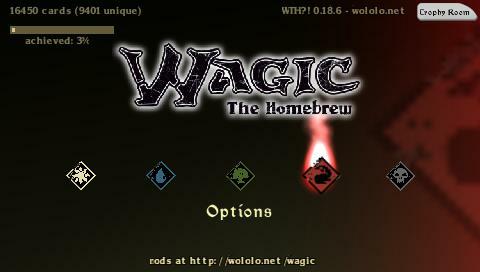 You may need to restart Wagic to ensure that the theme has taken effect. This theme, called Mythos, is part 4 of the D'Artagnan Collection, a series of 5 Wagic themes that I've made. Experience the glory and legends of Theros in this theme. 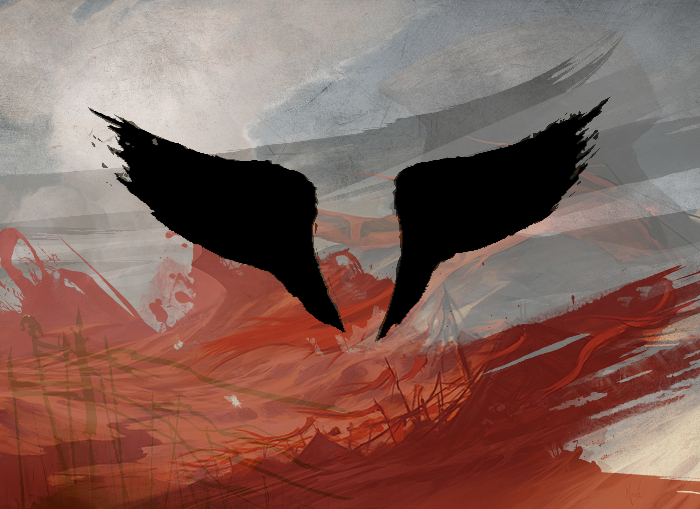 Fight monstrosities, journey into Nyx to see your achievements and unlocked sets. The Odyssey starts here! INSTALLATION: Extract the download package, and compare the folder structure to your Wagic installation. Copy the theme folder (called "Mythos") to <WTH/User/themes>. Start Wagic; if installed correctly, the theme will appear in Options/User/Theme. Cycle through the available themes until you find it, select it, then save and exit to main menu. 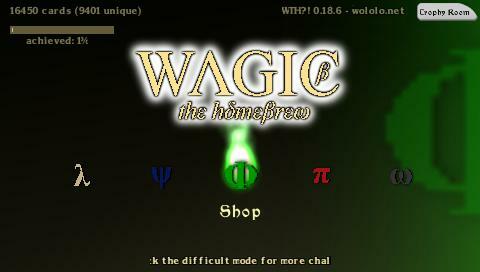 You may need to restart Wagic to ensure that the theme has taken effect. Consul, this theme, is the final part (part 5) of the D'Artagnan Collection, a series of 5 Wagic themes that I've made. 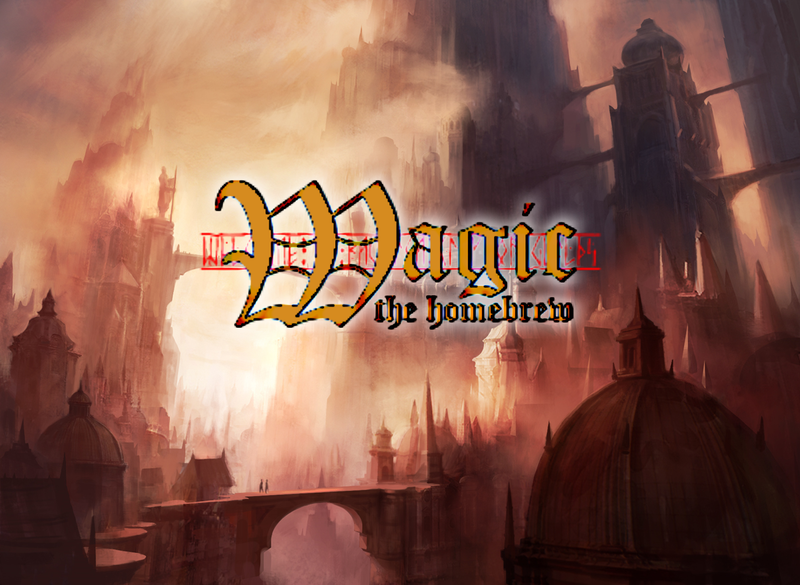 You've been to Ravnica, the City of Guilds. You've Returned to Ravnica. Now, planeswalk once again to experience the sprawling metropolis in Wagic. As a Consul of Ravnica, battle your way through the many districts of the city, politically neutralizing your opponents. INSTALLATION: Extract the download package, and compare the folder structure to your Wagic installation. Copy the theme folder (called "Consul") to <WTH/User/themes>. Start Wagic; if installed correctly, the theme will appear in Options/User/Theme. Cycle through the available themes until you find it, select it, then save and exit to main menu. 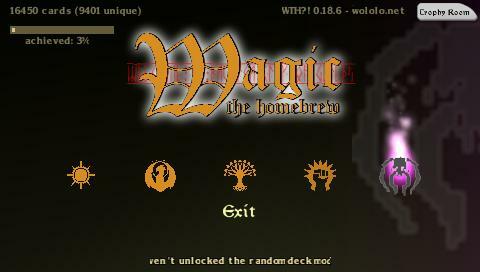 You may need to restart Wagic to ensure that the theme has taken effect. This is by no means the last material I'll be releasing . Watch this space. May your opening hand always have enough lands! 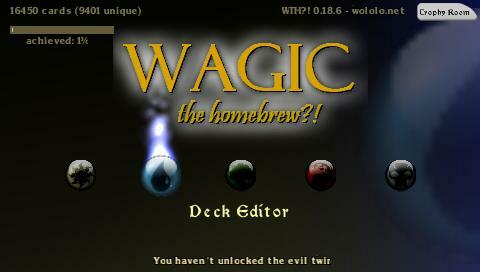 Here's some new buttons for use in Wagic. I edited most of the original buttons to give them a flatter, more cartoon, colourful, modern look. The only buttons I didn't edit were LTRIGGER and RTRIGGER, as they looked fine as they are. If you would like to use them as your default buttons, save the attached image and copy it to <WTH/User/graphics/>. If you do this, the game will display these custom buttons instead of the default buttons at all times, unless there are custom buttons in a custom theme. NB If you are using one of my themes, these custom buttons are already included in the theme files. The PlayStation buttons, /\, , O and X symbols, the PS symbol, etc. are registered trademarks of Sony Computer Entertainment. These custom buttons are a work of art made as a hobby, not for commercial gain. 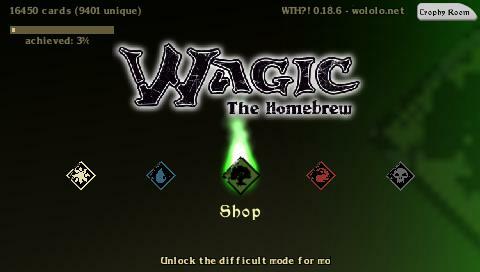 New menu icons for Wagic: The Homebrew?! 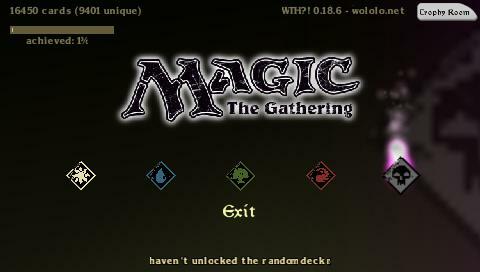 If you want to replace the default menu icons in Wagic with standard MTG symbols, save the image below and copy it to <WTH/User/graphics/>. NB I've included these menu icons here and there within my themes. 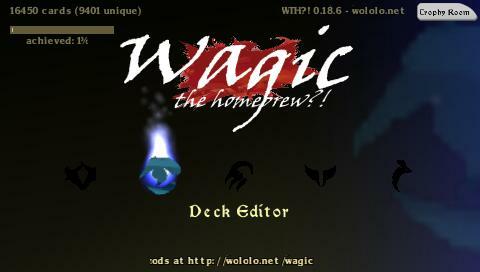 The [Sun], [Waterdrop], [Skull], [Fireball], [Tree], [Land], and [Cup] symbols, as well as all Magic: The Gathering (MTG) related material, is copyrighted content belonging to Wizards of the Coast. These works of art, themes, graphics, etc. are made as a hobby, not for financial gain. 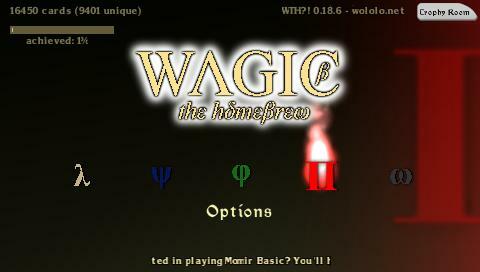 More new menu icons for Wagic: The Homebrew?! If you want to replace the default menu icons in Wagic with these "3d-look" marble-type MTG symbols, save the image below and copy it to <WTH/User/graphics/>. NB I've included these menu icons here and there within my themes, e.g. 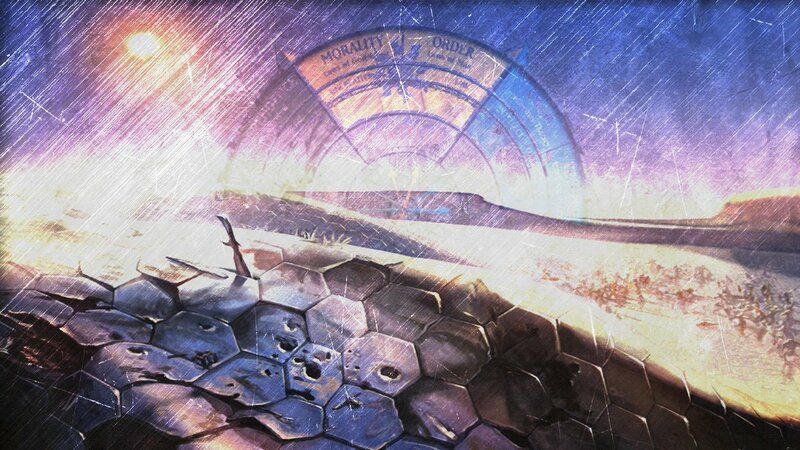 in the I, Machina theme. 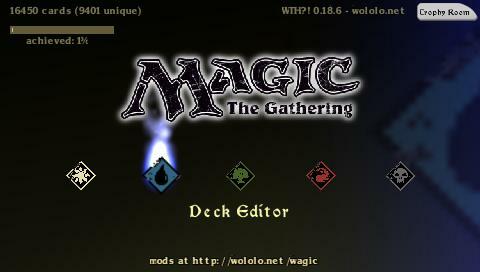 The [Sun], [Waterdrop], [Skull], [Fireball], [Tree], and [Land], symbols, as well as all Magic: The Gathering (MTG) related material, is copyrighted content belonging to Wizards of the Coast. These works of art, themes, graphics, etc. are made as a hobby, not for financial gain.